We all know how important it is to start reading to your children at a young age. We start stockpiling children’s books as soon as we find out we’re pregnant! Am I right? 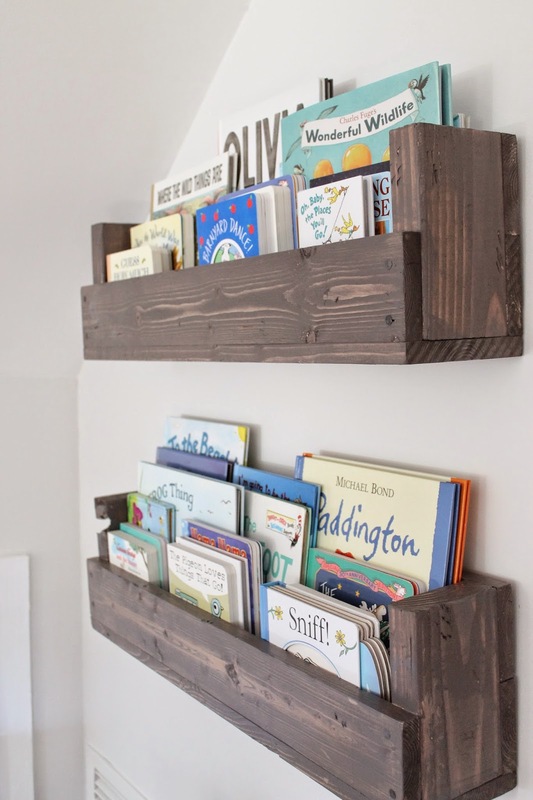 Before you know it, there are piles upon piles of board books, soft books, touch-and-feel books, books that rhyme, books that play music, books that you read at bedtime… the list goes on. How can we keep them all organized? I’m always on the hunt for smart storage solutions to keep a space nice and tidy. 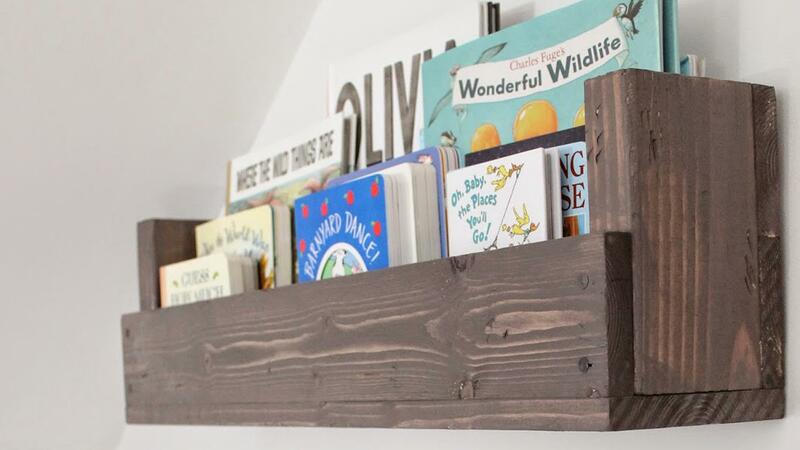 Take a gander at these DIY rustic bookshelves. 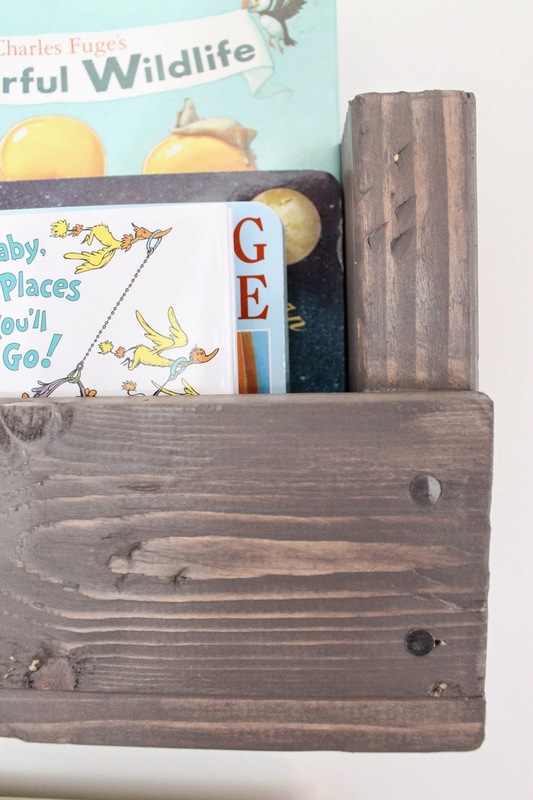 The very talented and budget-conscious Caitlin over at The Picket Fence Projects created an adorably charming book nook to store her little guy’s collection of good reads in his nursery. Believe it or not, these were constructed out of a few pieces of scrap wood. And I just love the technique she used to get that distressed and rustic look. My OCD heart skips a beat when I see a collection of anything all organized and looking pretty. Caitlin’s little one will have no problem finding his favorite bedtime storybook. 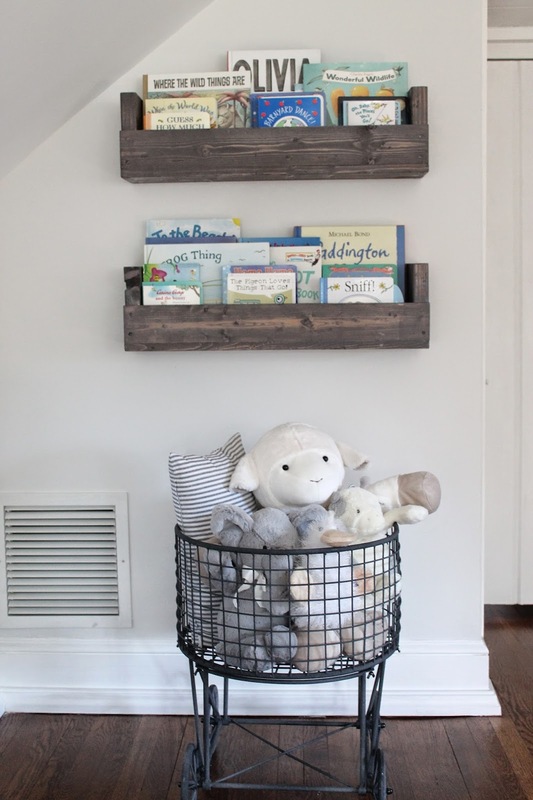 Visit The Picket Fence Projects for the full tutorial on how Caitlin built these shelves and got that natural reclaimed wood vibe. While you’re at it, check out her house tour and other super creative projects. So inspiring!